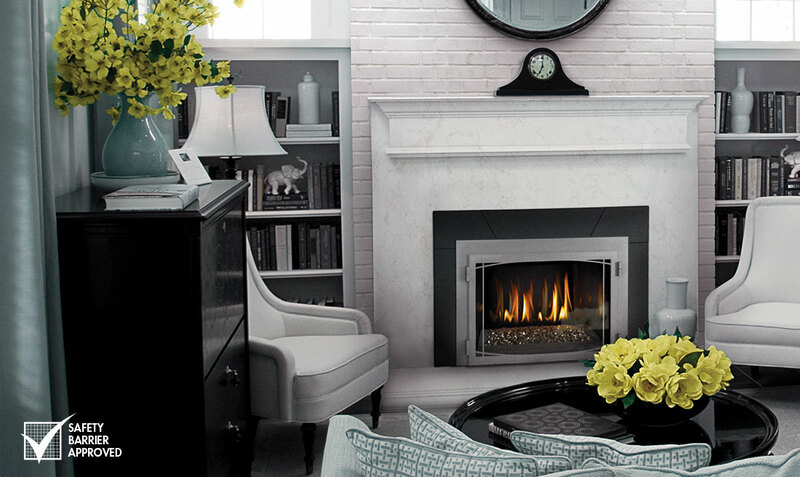 The Napoleon Infrared™ 3G Gas Fireplace Insert is the perfect solution for an economical heating source complemented with the modern elegance of a sparking Topaz CRYSTALINE™ ember bed. The Infrared 3G features Napoleon’s exclusive NIGHT LIGHT™ and comes standard with a thermostatic remote control and MIRRO-FLAME™ Porcelain Reflective Radiant Panels. Optional decorative accessories are also available to match any room in your home. Heating smarter and saving energy doesn’t mean that you have to compromise great design.